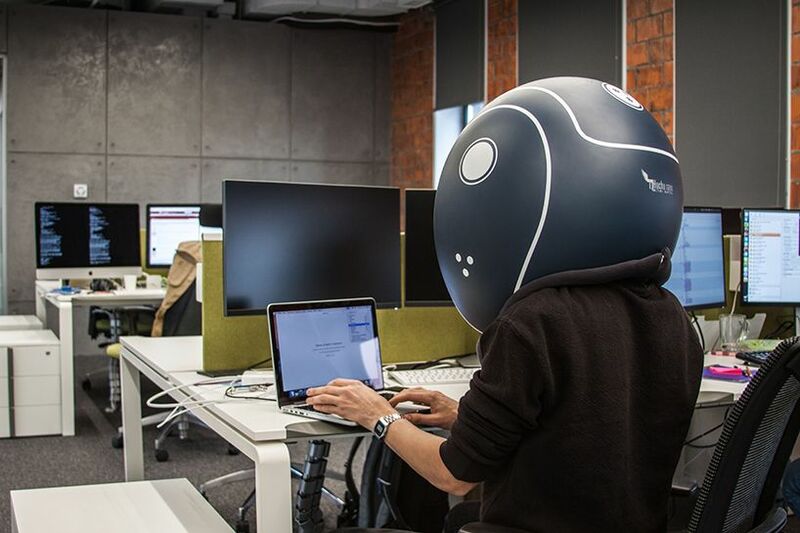 Privacy Helmet - Unique isolation helmet gives personal space and fully blocks office noise. 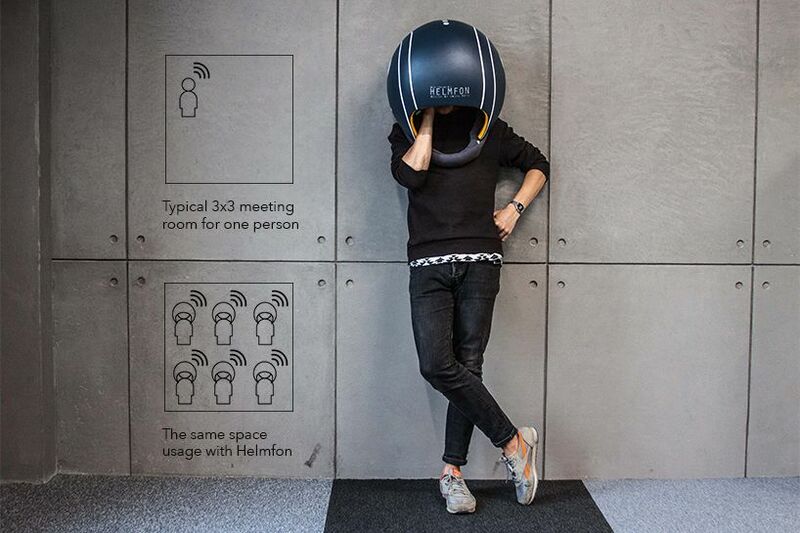 Named Helmfon, this amazing helmet created by designer Hochu Rayu offers a bubble of silence and concentration by blocking the noise nuisance of your open space. 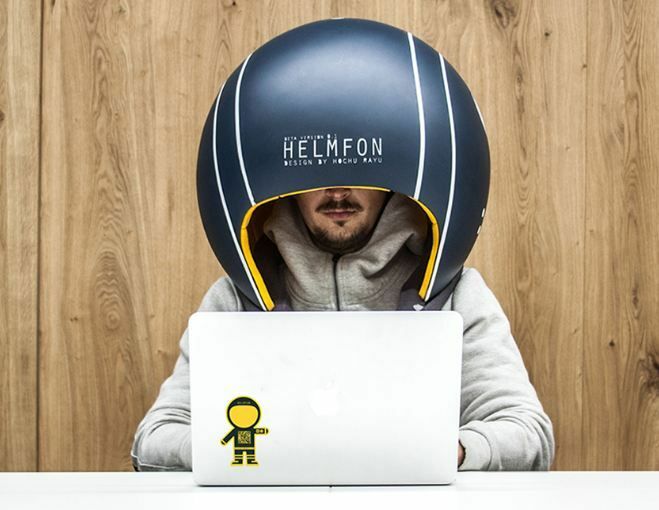 It is a tool created to have a full concentration at work. It is equipped with a system board, microphone, speakers, accumulator, magnifier and special inside place for the smartphone. It can play movies and videos, organize Skype conferences, answer or make calls, watch Skypeit photos, or add personal functions. 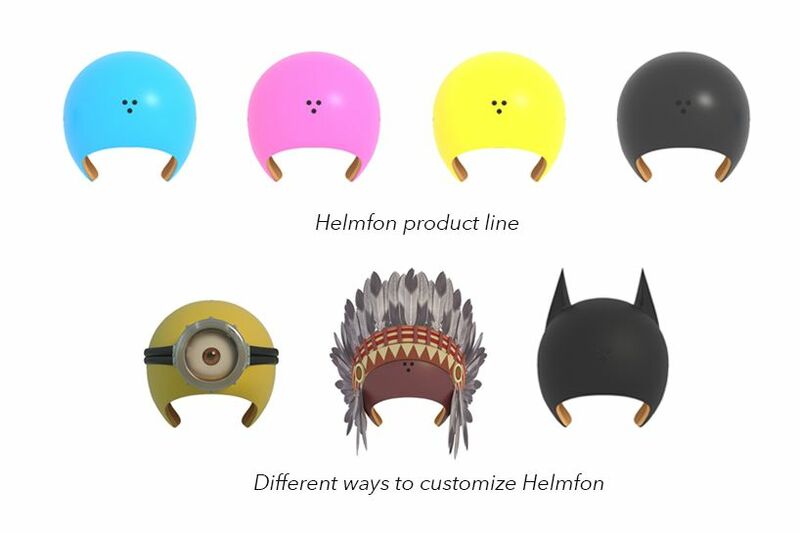 ‘Helmfon’ is equipped with a system board, microphone, speakers, accumulator, magnifier and special inside place for the smartphone. 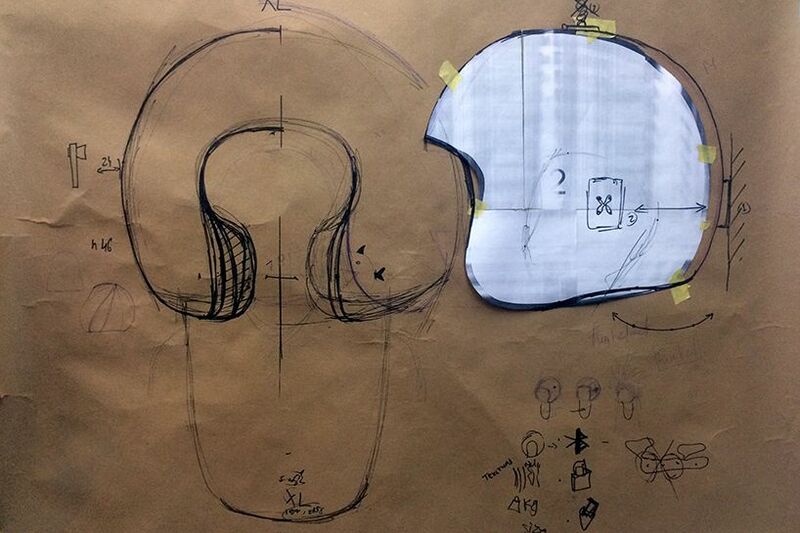 It is fully prepared to increase one’s concentration and productivity during working hours. 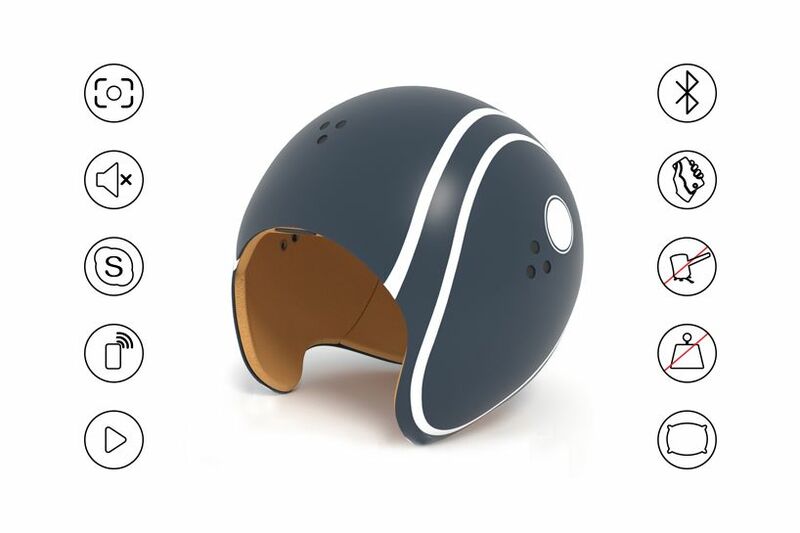 It is made up of noise reduction materials including: glass fiber for the outside case covered in nitro paint and a membrane cloth with foamed polyethylene for the inside. There is no need in organizing meeting rooms for online communication anymore. 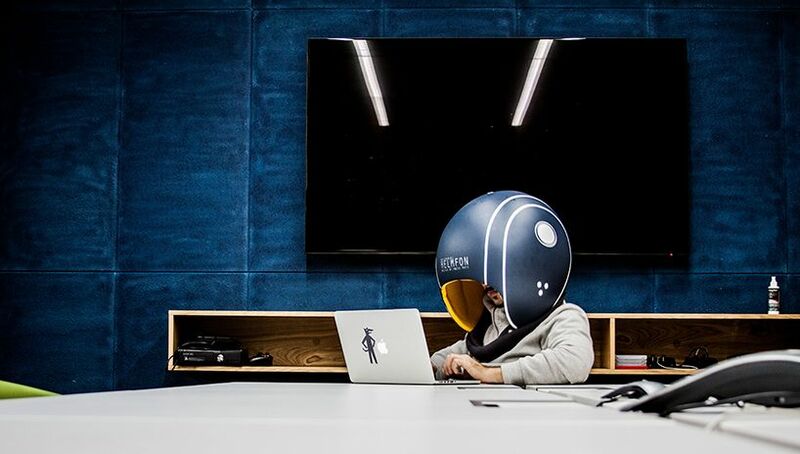 Everyone can do his or her communication work by just wearing their helmet. It is fully prepared to increase one’s concentration and productivity during working hours.